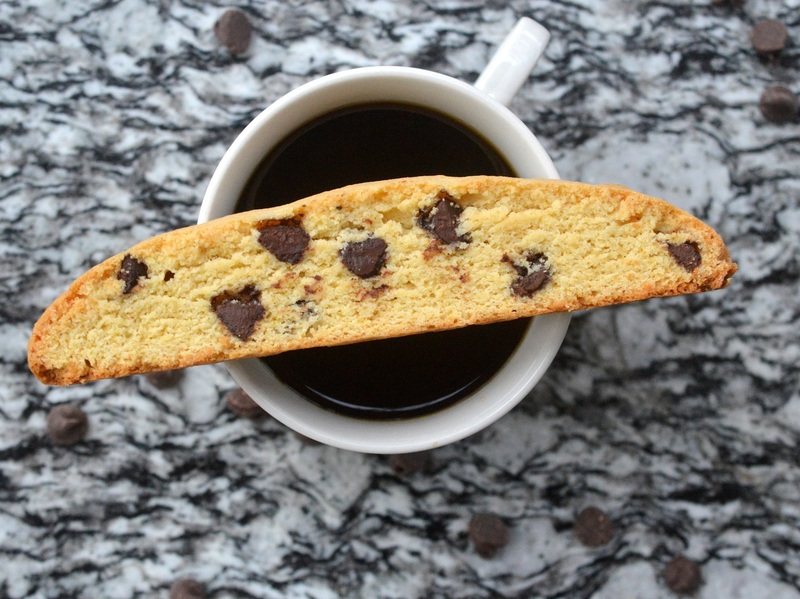 Nothing beats stealing a quiet moment to yourself with a hot cup of coffee unless you have a delicious nibble like Chocolate Chip Cookie Biscotti to go with it. The holidays are fast approaching (seriously…the older I get the faster time moves…I feel like Christmas was just a few months ago!) and I have gifting on my mind. I swear I am starting early this year to prevent last minute shopping marathons (I already did pick up a few things…winning). I partnered with Arbor Day Coffee on this post however the thoughts and opinions within the post are my own. When it comes to ideas for holiday gifts, I like to come up with gifts I know people will enjoy. As you can imagine since I love food…I do enjoy making food gifts as well as purchasing food gifts for people. It somehow seems more personal. Plus when someone is hard to buy for OR they just don’t need anything…Food and drinks always go over well! When a food gift or a regular gift is a gift with a cause or supports someone or something in a way THAT is important to me and those are the types of gifts I go for. The Arbor Day Foundation is one of those organizations I can totally get behind. I love what Arbor Day stands for “inspiring people to plant, nurture and celebrate trees.” That is an important cause in my world. My happy place is in the woods, always has been. Did you know that the Arbor Day Foundation grows coffee beans?? Yes! Arbor Day Coffee is sustainably grown under the canopy of the rainforest. The shade-growing approach that Arbor Day takes to grow its beans is better for the environment and better for the coffee farm families that call rainforests their home. Growing coffee beans in the shade vs the sun yields a slower growing bean that results in a richer more delicious cup of coffee. Growing coffee beans in the sun is faster vs growing them in shade and since farmers have always been paid on a per pound basis, rain forests were cleared to make room for more farms. BUT, after a few years, that same ground becomes infertile and they then cut down more rainforest for fresh fields. No good! It was a cheaper, faster way to get the end result at the cost of precious rainforest acreage and families, animals and insects homes. Arbor Day’s coffee program works with farmers to help them earn a higher wage and grow higher-quality coffee IN the rainforest. Arbor Day also educates their farmers to implement responsible, rainforest-friendly coffee production practices. 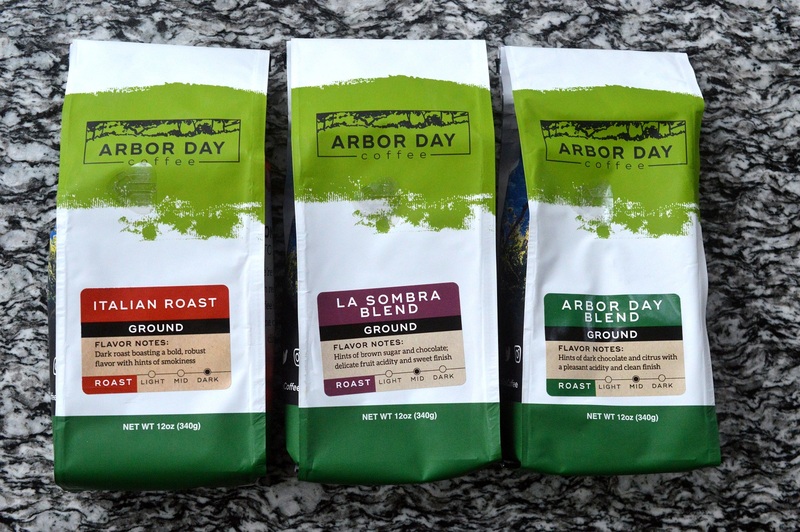 Here’s Where YOU Can Purchase Arbor Day Coffe in Various Flavors The Coffee That Is About SO Much More Than Great Taste…Gift And Drink With A Conscience For A Cause. Use coupon code SOUFFLEBOMBAY for 10% off of an online order. Valid through Dec 31, 2018. Purchase for yourself or as a gift. 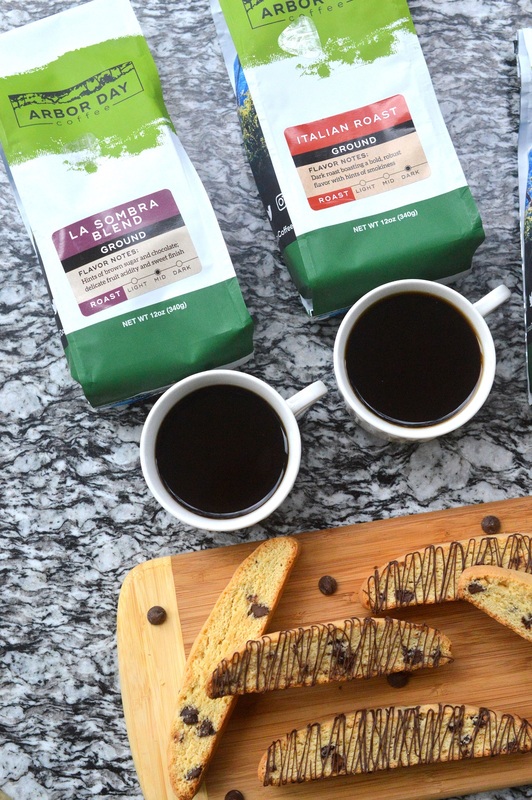 If you are a coffee lover or want to gift someone who is and want to help support a better environment with every sip, join the Arbor Day Coffee Club! Join the Arbor Day Coffee Club and you’ll receive a 12 oz. bag of Arbor Day Blend and a free Arbor Day Coffee mug for just $9.95 (S&H included). As a Coffee Club Member, you’ll automatically be signed up to receive two 12 oz. bags of Arbor Day Blend every four, six, or eight weeks. You can change the blend, amount, and frequency of your shipments at any time — all for up to 20% off. 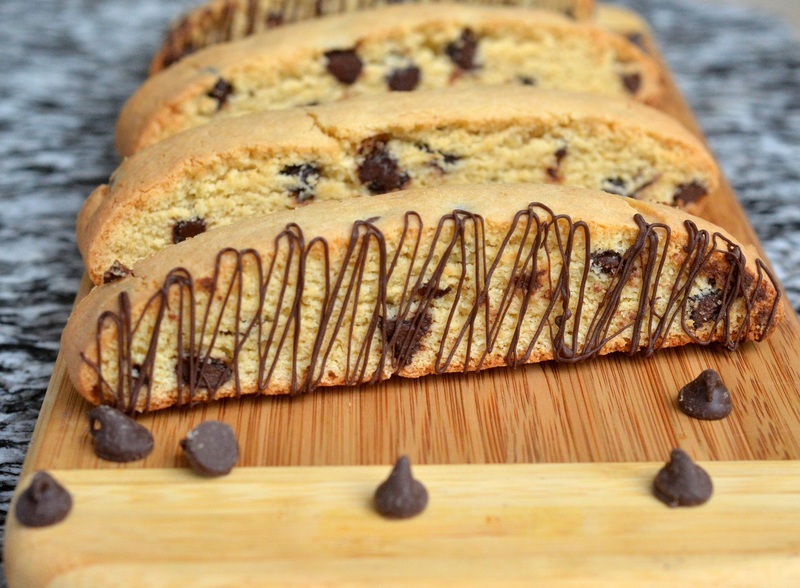 Don’t forget to make some delicious Chocolate Chip Cookie Biscotti for yourself or for gifting. People think making biscotti at home is hard when its actually easier than making cookies! 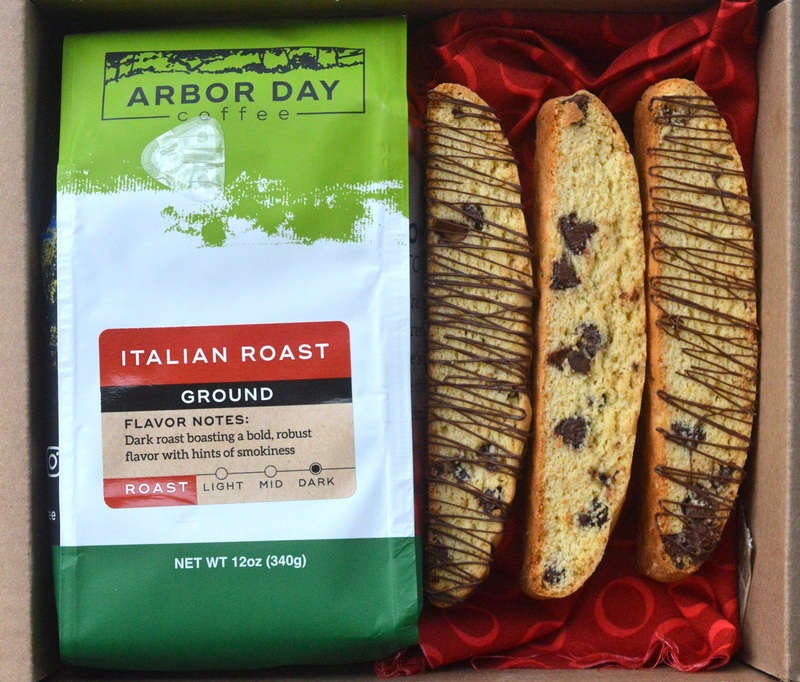 Packaging up Arbor Day Coffee and Homemade Chocolate Chip Cookie Biscotti for a hostess/host gift of holiday gift is an amazing idea! When you make your own biscotti, you can control just how hard you make it, which I love! I make mine crisp yet easy to bit through. What Flavors Of Biscotti Can I Make? Biscotti come in an almost endless variety of flavors. My favorites are Eggnog Biscotti, Carrot Cake Biscotti, Caramel Cappucino Biscotti, Pumpkin Biscotti, and Apple Cider Biscotti. Those are the recipes I have on this site to date 🙂 More to come! Hope you enjoy this recipe and that you try out Arbor Day Coffee, it truly is delicious and you just can beat the cause! I am so glad I partnered with The Arbor Day Foundation on this! Biscotti are easier to make than people think. Perfect for gift giving or with your morning coffee/tea. In your mixing bowl, combine brown sugar and butter and mix until creamy. add in eggs and vanilla and mix until smooth. Adding flour, baking powder and salt and mix until blended, stir in chocolate chips. Portion dough into two halves. On a piece of parchment paper, countertop or marble pastry board, shape each half into a fat log about 8 inches long. Flatten the "log" to about ½ inch high evenly trying to make the width equal the full length. Place on parchment paper lined baking sheet (often I do this right on the parchment paper-lined sheet...that way no need to transfer dough). Allow at least 2 inches between dough pieces (or bake on 2 separate baking sheets). Remove from oven, allow to cool for 3 minutes. Carefully slice into biscotti pieces ¾ inch to an inch wide, wiping knife carefully with a paper towel between each cut to remove excess melted chocolate. Place biscotti one-side down and return to oven for 10 minutes. Remove from oven and flip. Bake another 10 minutes. Transfer to cooling rack. Once completely cool, store in a cookie jar or airtight container. If you wish to drizzle one side of the Chocolate Chip Cookie Biscotti with chocolate, melt ½ cup chocolate, transfer to a plastic baggie and snip the smaller bit of one corner off so you can get a super skinny drizzle. Allow chocolate to firm up by placing them in a cool place (garage/fridge), then place in a cookie jar or airtight container. If you enjoy your biscotti really crisp, leave them in the oven after you turn it off for a bit longer. I like that they support farmers who protect the rain forest. I love the fact that it supports the farmers who help grow, protect and sustain the environment & ecosystem! I love that Arbor Coffee is Good for the farmers, good for the rain forest, good for the world, great in your cup. I like that the Arbor Day Foundation works with farmers to promote sustainable agroforestry management practices. Very important.